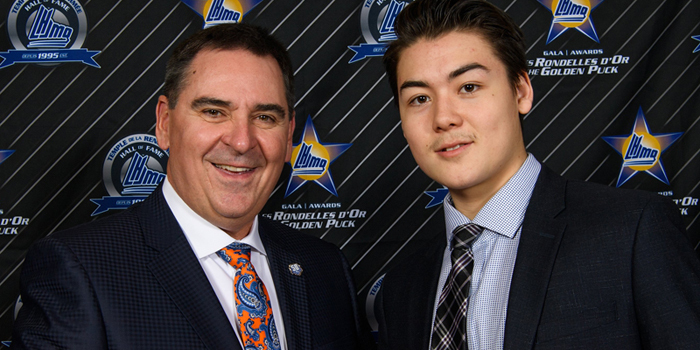 Quebec City, QC– The Golden Puck Awards Gala of the Quebec Major Junior Hockey league was held tonight at the Capitole Theatre in Quebec City. During the evening, twelve trophies were presented to the most deserving players and personalities of the 2018-19 season. Also, five new members were inducted into the QMJHL Hall of Fame. 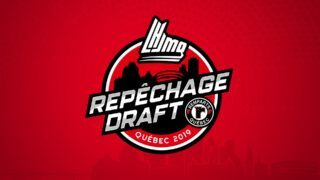 François Allaire, Robert Murray, Jean-Jacques Daigneault, Stéphane Fiset and Mario Tremblay are the members of the QMJHL’s 2019 Hall of Fame Class. These highly deserving inductees are a great source of inspiration for tonight’s trophy winners and nominees as well as for players throughout the league. 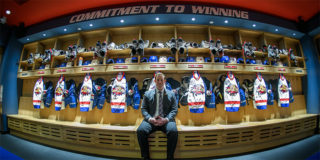 Furthermore, in honor of the QMJHL’s 50thanniversary, the rankings of the ten greatest players in league history were revealed during the evening. Nine of the top ten greatest players in QMJHL history were on hand to present a trophy to the winners. The Wildcats are proud to announce that Jordan Spence was the recipient tonight of Rookie of the Year. Jordan started the season at 17 years-old, and what a year it was for him. He finished first among rookies in assists this year with 43. 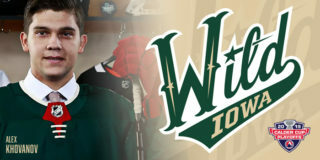 He was also the leading scorer among all first-year defensemen with a total of 49 points. Throughout the year Jordan also set two franchise records for the Wildcats. 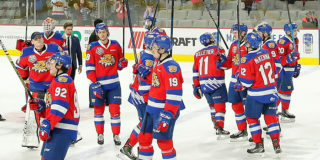 With 49 points, Jordan now leads the Wildcats all-time records in points during a season by a rookie defencemen. He also set a new franchise record for assists in a season by a rookie defenceman with 43! Tonight Jordan was also named to the Rookie All-Star team with good company. Congratulations Jordan on all your success this 2018-2019 season! 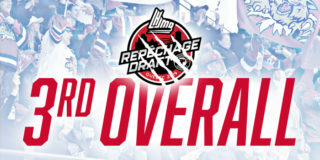 Reminder that Round 2 playoff tickets go on sale tomorrow at 12:00 p.m. at the Subaru of Moncton Box Office and online at ticketmaster.ca Round 2 vs. the Mooseheads starts on the road this weekend and will be back in Moncton for Games 3 & 4 Tuesday and Wednesday night at 7:00 p.m.